Eight years ago, Captain Rick Lofstad joined the Saratoga Farmers’ Market with Pura Vida Fisheries Inc. The customer line stretched around his tables and beyond. Fish lovers and others were entranced by the opportunity to obtain seafood freshly caught almost in their back yards. The interest was so high that a year and a half later, Lofstad opened a retail store, Moby Rick’s Seafood, on Lake Street. Today, that demand for fresh fish remains strong at the market, where Pura Vida offers a variety of fish and shellfish weekly. Bourbeau now sells fish for Pura Vida and Moby Rick’s, and helps make the chowders and other prepared foods that are also available. The store offers fish from throughout the world. 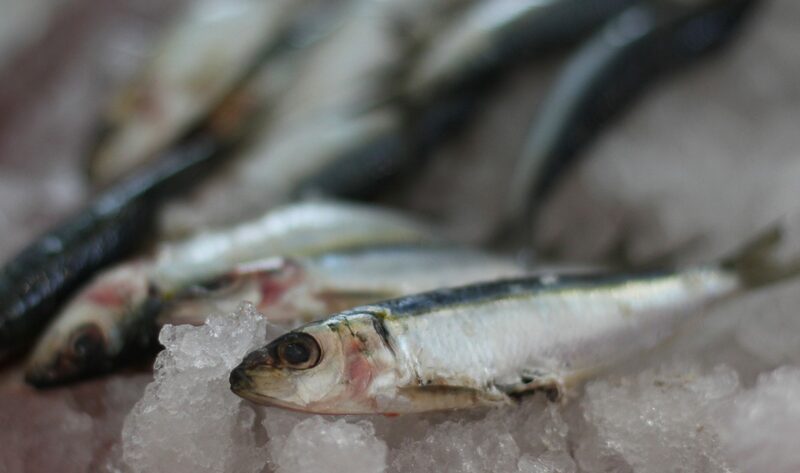 However, the producers-only ethic and local emphasis of the Saratoga Farmers’ Market means that what Pura Vida brings to this market are solely those fished from New York waters, mostly off the coast of Long Island. In other words, says Bourbeau, about as fresh as seafood gets. Among the local fish available at the market at this time of year are grey sole, winter flounder, sand shark, black sea bass, porgy, skate, monkfish, weak fish, blow fish, sea scallops, cod, tuna, and squid. Lofstad’s boats go out several times a week. The catch is transported to a facility in Hudson, where it its filleted and then transported to Saratoga a day before market. When asked what was his favorite winter catch, Adrien Johnson had to think. He likes all of it. 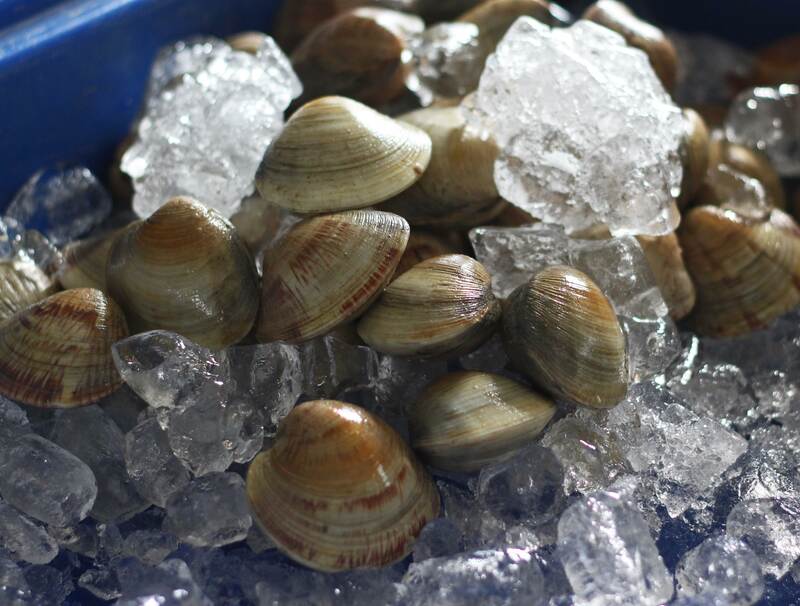 Finally, he settled on scallops – from both the Long Island Bay and Peconic Bay. The icy cold seawater sweetens their taste. The scallops are great sautéed in olive oil or butter with some garlic and black pepper, or can be cooked into a stew (see accompanying recipe). For more suggestions, visit Pura Vida’s table at the market.